MultiHero is a street fighter-like game. In MultiHero you can play superheroes like Spiderman, Goku, etc. Side scrolling martial art game with oriental flavor. 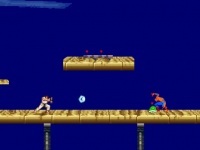 Fighting game with simple yet addictive gameplay.